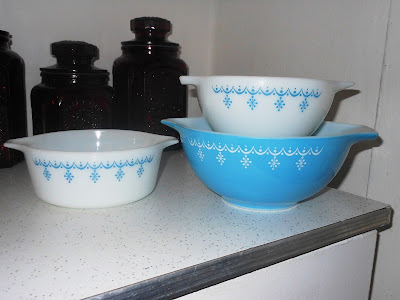 Pyrex Junkie: More for sale on ebay! I keep adding and adding more stuff! Just wanted to fill you in on what else I added. Also for grabs is this awesome funky tea set! 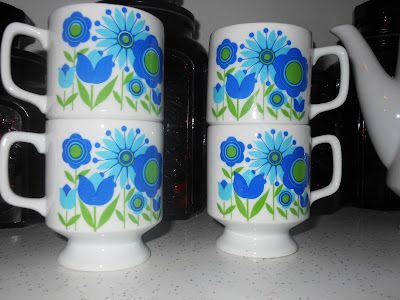 Very retro, not pyrex but just as nice! Will be adding a red hostess bowl (no lid) and a lot of Butterprint. 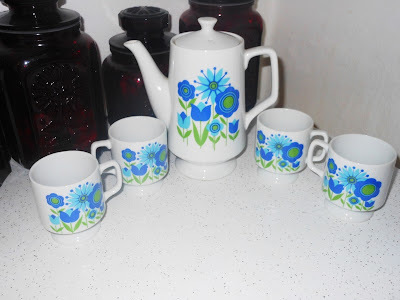 Love the tea set! So funky indeed!